A single dose of a skin cancer treatment administered three weeks before surgery can put some melanoma patients into remission, giving physicians greater guidance in determining the therapy with the greatest chance of success. That's the key finding from a study involving the largest group of melanoma patients to receive the treatment prior to surgery. The study, completed by researchers at the Abramson Cancer Center at the University of Pennsylvania, was published Monday in Nature Medicine. Researchers gave 27 melanoma patients one dose of pembrolizumab, a PD-1 inhibitor, three weeks before surgery. Eight of them had a complete or major response – less than 10 percent of the cancer cells remained when they went into surgery just several weeks later. Each of those patients remain cancer free more than two years later. The immune response triggered by the therapy can peak as early as seven days after treatment, researchers found. By administering treatment before surgery, doctors can know much earlier whether patients will respond to PD-1 inhibitors, helping them identify the most appropriate treatments. “It’s amazing that we can have greater confidence early on, based on the way patients respond to this treatment before their cancer is surgically removed, that they will do well,” said Dr. Tara C. Mitchell, the study’s co-senior author and an assistant professor of hematology-oncology at Penn. Current treatment for resectable melanoma involves surgery followed by a year of drug treatment in high-risk patients. Those treatments can include PD-1 inhibitors, which help the immune system recognize – and fight – cancerous cells. Each of the study participants received up to a year of anti-PD-1 treatments. 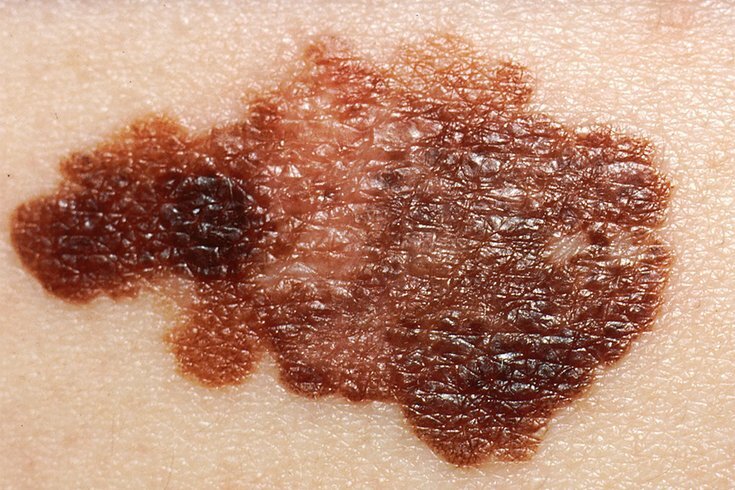 Melanoma is the deadliest form of skin cancer. About 7,200 people will die of the disease this year, according to the American Cancer Society. Another 96,000 melanoma cases will be diagnosed. The researchers also identified patterns in the way melanoma adapts by evaluating patients whose cancer came back after developing resistance to the PD-1 inhibitors. Tumor mutations and increased activity of cells that naturally suppress the immune system enable it to come back.